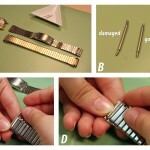 If your metal watch band is too large, you can usually remove links to make it smaller and ensure a perfect fit. 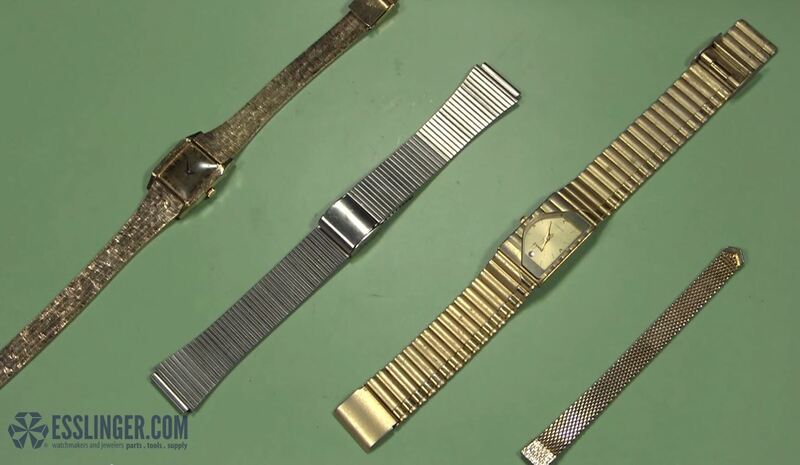 For mesh style metal bands you have to adjust the sliding style clasp to adjust the length. How do you recognize a mesh style metal watch band? If the band looks like one solid woven piece of metal with no links you are dealing with a mesh style band. 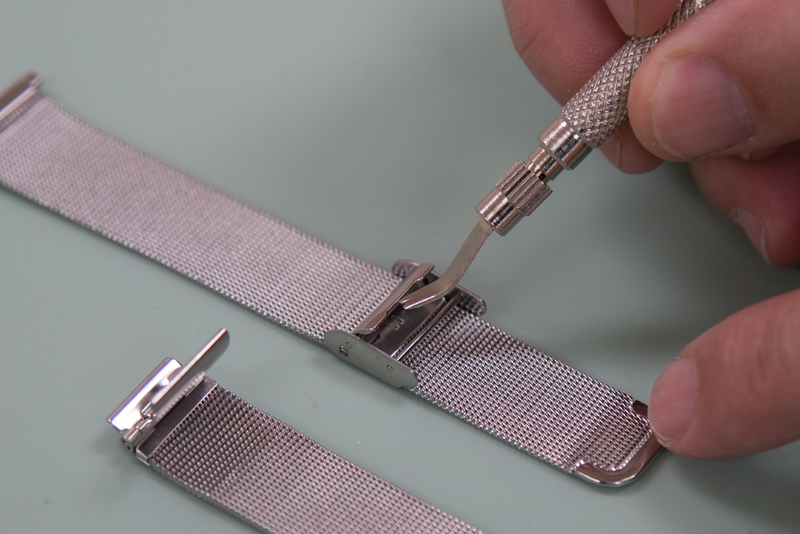 When you need to adjust the length of your metal watch band, it helps to know exactly how much shorter the band needs to be. 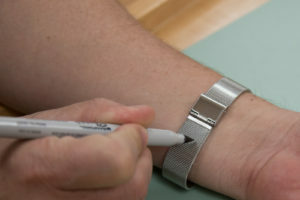 You can do this by wrapping the band around your wrist and marking where the clasp should sit if it fit your wrist the way you wanted. Then, take your watch band and lay it out flat on your work surface so that you can see the inside of the bottom portion of sliding style watch band clasp. 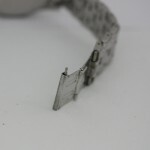 Look inside the clasp where the mesh band slips through it. 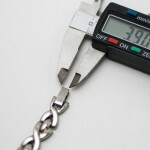 You will see a small metal strap that crosses over the metal band under the hook where the clasp closes securely. This is what keeps the clasp in place on the band. 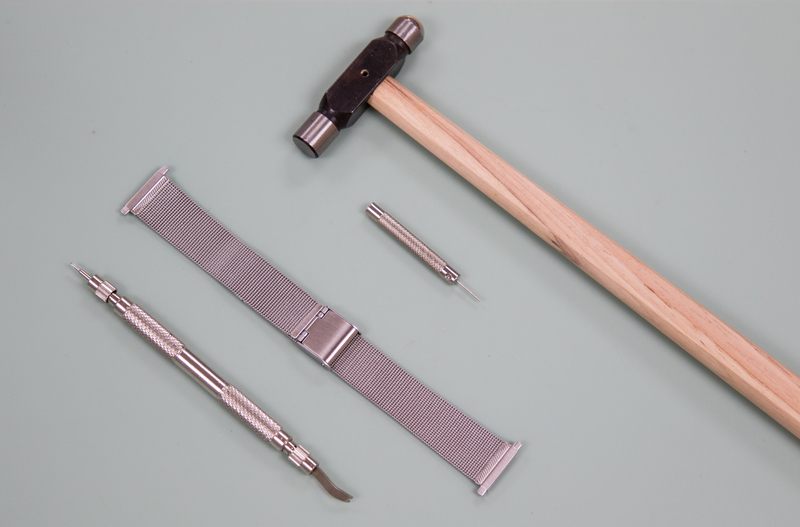 Take your spring bar tool and insert the forked end under the metal strap between the band and the clasp. 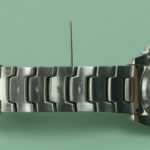 Gently pry the metal strap up until it opens enough for you to slide the clasp up or down the watch band. Position the clasp closer to the watch movement end of the mesh band where you need it to sit for it to fit your wrist comfortably. 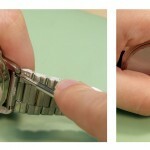 Once the clasp is sitting where you think it should, take your pin punch and press it down on the metal strap. The metal strap may click into place, just with the force of your hand, if it doesn’t, take your ball peen hammer and gently tap it into place. Set your tools aside when the strap is securely holding the mesh band again. Try your watch band on. 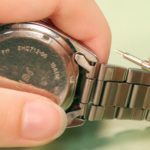 If the band is still too big, or maybe too small now, start over by repeating what you did before to open the metal strap and reposition the clasp on the band. 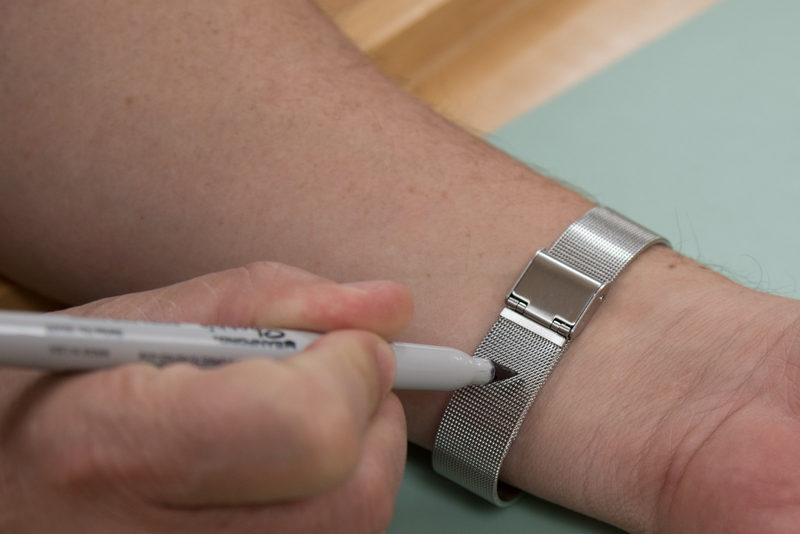 Once the band is put back together again, try on the watch band. It should fit just the way you like. 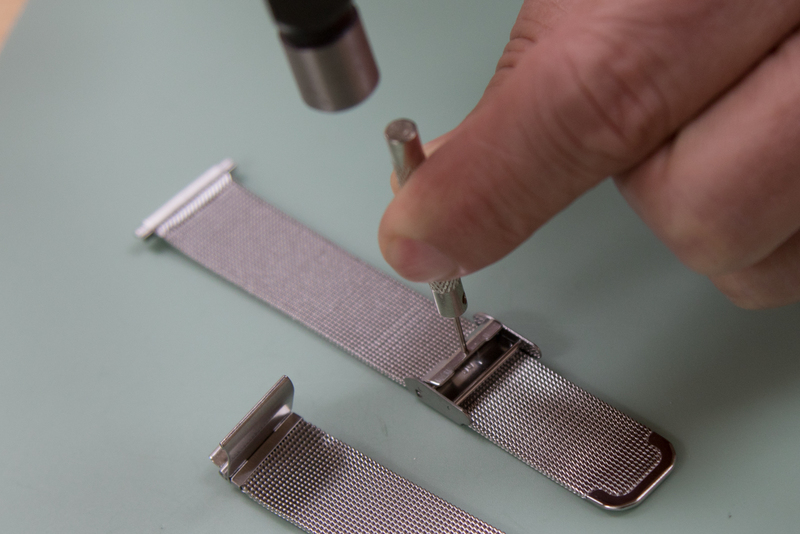 Now that you have completed one repair, you can learn more about simple watch repair at our Learning Center.